Tired of Your Old Rings? Get Cash Today! Do you have old, dusty rings that you no longer love or an old wedding ring that you can’t stand the sight of? It’s time to get them out of your life and to get cash! H. Moradi Jewelers can offer you cash for the value of your ring today when you sell to us! We always provide fair exchanges in a comfortable environment — find out why so many love to work with our jewelry buyers! Why Choose Our Jewelry Buyers? H . Moradi Fine Jewelers will evaluate and offer you the best price for your engagement ring. 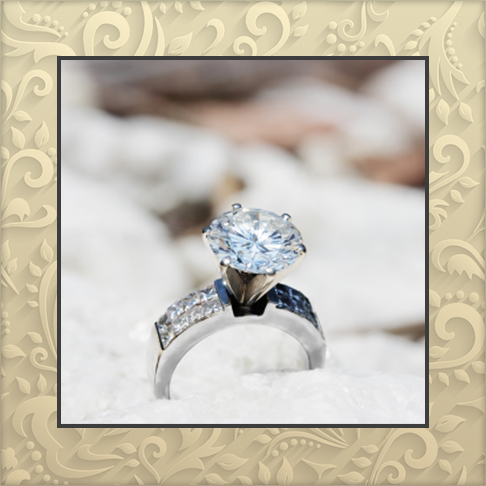 We also offer the option to trade your ring for diamonds and jewelry at our store. Contact us at 858-459-1716 today or visit our store at 1230 Prospect St. in La Jolla. We look forward to working with you today! Where Can I Sell My Ring? Whenever you decide to sell your ring, whether it is a family heirloom, old engagement ring, or a piece of costume jewelry, we understand that it can be a hard decision. We know that there might be sentimental value attached to it. Whether or not you have an emotional attachment to your jewelry, when you sell rings for cash in La Jolla, it can be a stressful endeavor. In La Jolla and the San Diego area at large, there are lot of options for selling your jewelry for cash. So, why choose us? First, we have the experience and knowledge to see the true value of your piece. We understand all the markers that make your ring not only valuable, but also unique — we see the intrinsic potential of it. We have years of successful transactions and happy clients behind us. Our jewelry buyers want to not only give you the best buying experience and highest value for your ring, but also have you leave our store feeling satisfied about the transaction. If you are ready to sell your vintage and designer rings, we suggest that you get your ring professionally cleaned, gather up all applicable paperwork, and come into one of our La Jolla locations. Have questions? Contact us!